When a Nevada family loses a loved one, his or her estate will need to be probated. Estate planning documents such as wills and trusts provide family members with instructions as to how to distribute an individual’s property. If the documents were kept up-to-date and do not contradict one another, an executor’s job could be less complex. 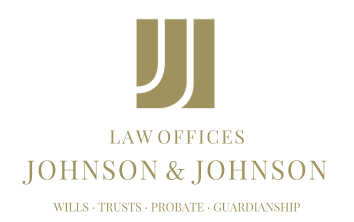 Before proceeding with probate of a last will and testament, all of the estate planning documents will need to be located, and all assets and debts will need to be accounted for by the executor. It will be necessary to find all information regarding the decedent’s accounts, such as usernames and passwords. Once everything is compiled and the probate is filed, appraisals will need to be done and debt will need to be paid. It may also be necessary to determine whether estate tax returns need to be filed. Once all of the administrative tasks have been completed, the assets can be distributed to the heirs. Any life insurance policies and/or retirement accounts will be distributed under operation of law to the person or persons listed on the beneficiary designation form for each account. In some cases, an executor might have to deal with complaints from heirs and beneficiaries. When choosing the person who will fulfill the duties of an executor, Nevada residents need to be sure they can trust the individual to carry out his or her wishes. Moreover, the person being chosen should have the opportunity to obtain a complete understanding of his or her duties when it comes to settling an estate. Wills and trusts will provide the majority of the information needed, though it is typically beneficial to seek the advice and assistance of an experienced estate administration and probate attorney.